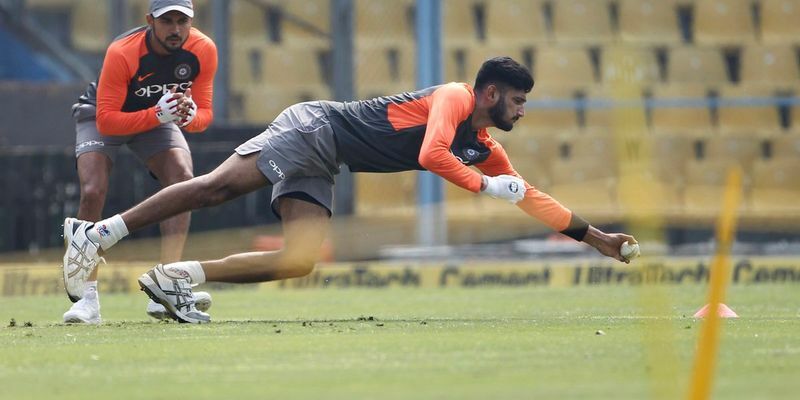 Khaleel Ahmed has revealed that stand-in skipper Rohit Sharma was the main source of inspiration for making a successful comeback to the T20I format in the recent New Zealand tour. Ahmed picked up four wickets across the three matches against New Zealand although India lost the series 2-1. The Indian cricket team, in the absence of Virat Kohli, fell to a 2-1 defeat at the hands of Kane Williamson & Co. in the recently concluded three-match T20I series away from home. Despite the disappointing loss, there were many positives to take home for the Rohit Sharma-led team India that also lacked Jasprit Bumrah apart from Kohli. One of the biggest positives was definitely the revival of young left-arm pacer - Khaleel Ahmed. Still at the tender age of 21, the lad from Tonk enjoyed the backing of stand-in captain Sharma, especially in the second match in Auckland which the visitors won comfortably. And in a recent interview with Hindustan Times, Ahmed revealed how Sharma helped him regain his form and bowl with confidence. “Rohit bhai spoke to me after the first match. He discussed where I was going wrong and explained to me the perspective of a batsman when he comes to the crease in a T20 game. He spoke on how I should prepare to take on the batsmen who are looking to attack from the word go. He spoke about the mindset of different batsmen and also how I should set specific fields for each opposition batsman. He really guided me a lot and most importantly asked me to bowl bindaas (carefree) and back my strength. “Rohit bhai has played so many matches and when someone like him guides you, you know how to go about the job. After all, he is one of the most destructive batsmen in the shorter formats of the game. Him coming forward and sharing that experience helped a lot as I realised that I should not take any undue pressure just because the batsmen are looking to attack every ball,” Ahmed told HT. Ahmed also admitted that the first match was tough to digest after the hosts’ opening batsmen totally demolished the Indian bowling attack. However, the biggest takeaway for Khaleel after the T20I series against New Zealand was the backing he received from his seniors as he was also handed the responsibility to bowl the death overs. “After the first game I was a bit nervous since it didn’t go as per plan. But after speaking to Rohit bhai, I gained in confidence and realized that it was important to not overthink and bowl to my strength. So I followed the advice and bowled bindaas (carefree). I thought that there was no point being over cautious in my approach as T20 is anyway a batsman’s game. Backed myself and that helped as I started to pitch the slower ones and the yorkers in the right areas.